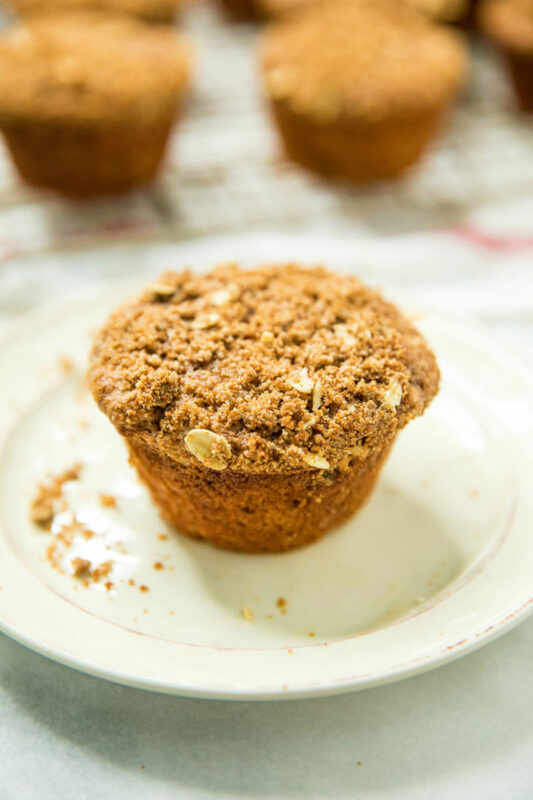 Sweet and crunchy on the tops, moist and bursting with warm fall flavors on the inside, these Healthy Apple Spice Crumb Muffins are a MUST try! I am quite certain that there is nothing in this world comparable to a warm, freshly baked muffin to wake up to in the morning. Bonus points if it’s healthy! Typically, most muffins you find in bakeries are cupcakes in disguise – relying heavily on oil, butter, and cups of sugar for sweetness. When I’m craving a healthy muffin, I find the only way I can truly enjoy them is to just make them myself. Plus they make my house smell like a bakery. 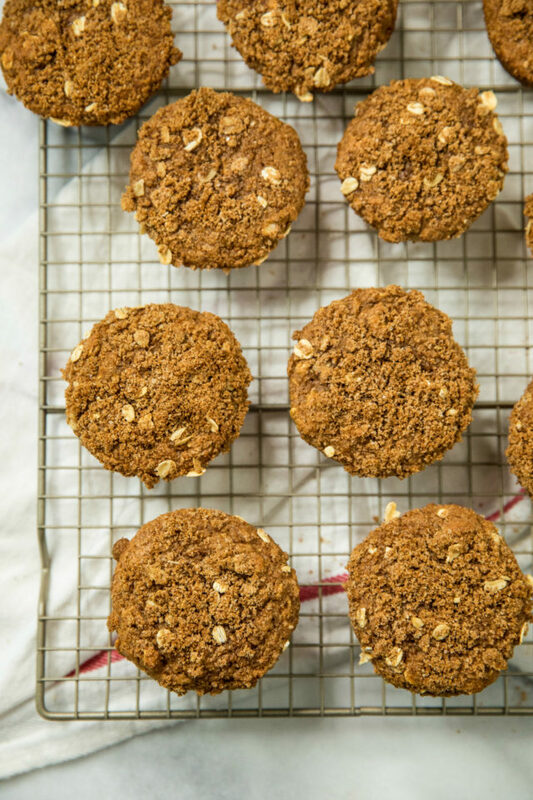 These homemade Healthy Apple Spice Crumb Muffins are soft, fluffy, and full of good-for-you ingredients like whole grains, oats, and fresh apples. In lieu of butter or oil, I used unsweetened applesauce to give the muffins tons of moisture. I also used as little sugar as possible and went with coconut sugar, but you can totally use brown sugar if that’s what you have on-hand. What I love most about these guys is that they actually rise. They’re just like the tall bakery muffins. Flat muffins?? No, thank you. It’s taken some practice, but I finally found a few tricks to bake up high, fluffy muffins – no more flat, dry muffins here! You’ll want your batter to be very, very thick. Think spoonable batter, not pourable. 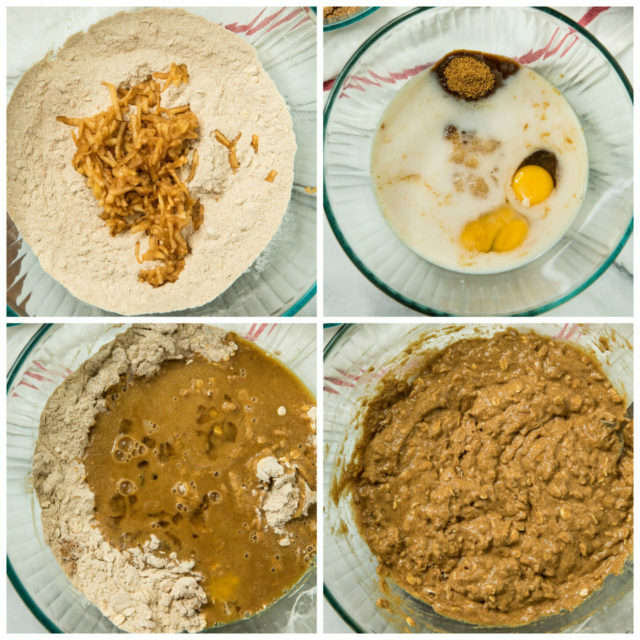 Do not overmix the batter- this will create hard, tough, flat muffins. Fill muffin tins all the way to the top. Filling your muffin tins only 1/2 or 2/3 of the way to the top is not enough batter to produce a muffin that will rise. Fill to the brim. Start off with a very hot oven temperature, then lower it down – doing so lifts the muffin top up quickly and creates a tall crust. Typically, muffins are baked at 350℉ – 375℉ the whole time, but set the oven to 425℉ initially, then bring back down to 350℉ or 375℉. The secret ingredient to a SUPER soft muffin that is still healthy, is Kodiak Cakes Pancake Mix. Your muffins will bake up ultra light and soft, instead of a typical denser muffin you usually get when using healthier ingredients. 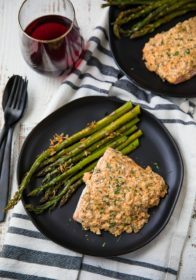 You can use most any variety of Kodiak Cakes mixes. 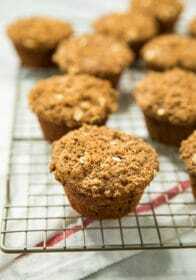 For these Healthy Apple Spice Crumb Muffins, I suggest using the buttermilk, cinnamon oat (my personal favorite!) or the Kodiak Cakes All-Purpose Baking Mix. This post is not sponsored by Kodiak Cakes, I just REALLY love the product and use it in my kitchen a ton. 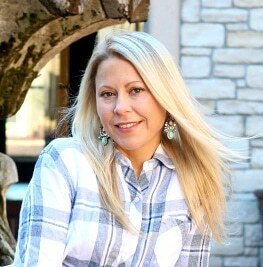 Kodiak Cakes Mixes are widely available. I’ve seen them at Walmart, Kroger, Costco and Target; usually found near other pancake mixes. Also, as mentioned above, it’s important to keep the stirring to a minimum. 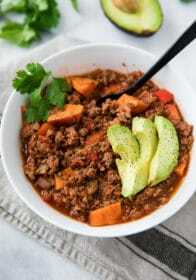 As much as we all hate doing dishes, the separate bowls are pretty important to avoid over-stirring while making sure all the ingredients do get mixed together. You guys are going to love these cozy fall muffins. 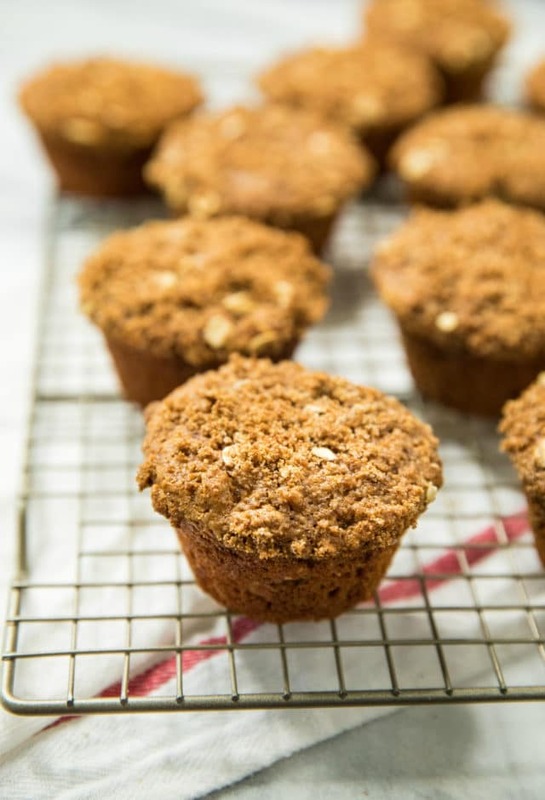 They are made to imitate a bakery style muffin, but in a healthier way. They’ve really got the taste, texture and softness of a bakery muffin, but with about a third of the calories. Winning! 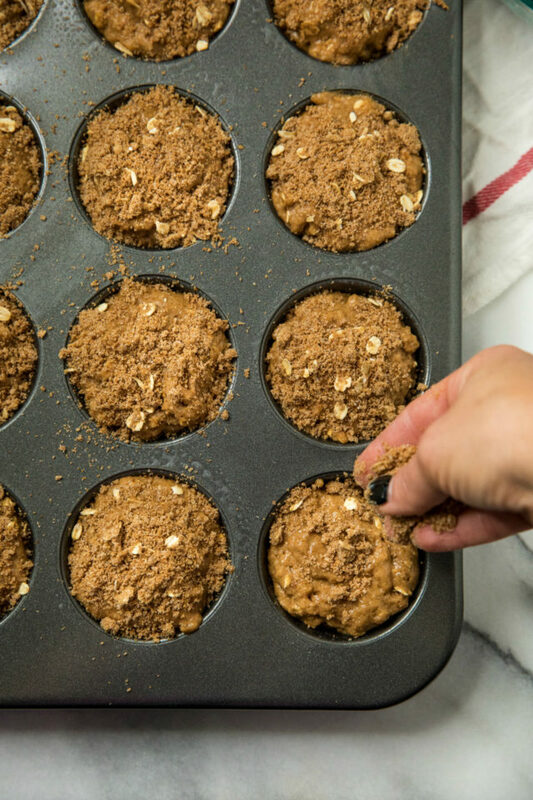 CHECK OUT MORE HEALTHY MUFFIN RECIPES YOU’RE SURE TO LOVE! 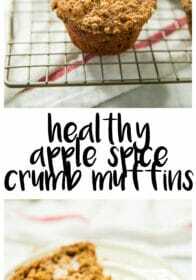 Sweet and crunchy on the tops, moist and bursting with warm fall flavors on the inside, these healthy apple crumble muffins are a MUST try! In a small bowl, combine all crumb topping ingredients and set aside. Preheat oven to 425℉ and spray a 12 cup muffin pan with cooking spray; set aside. In a small bowl, combine milk & vinegar; set aside. In a medium bowl, beat eggs and then stir in applesauce, sugar, vanilla and the almond milk/vinegar mixture. In a separate large bowl, combine Kodiak Cakes Pancake Mix, baking powder, cinnamon, allspice, cloves and salt. 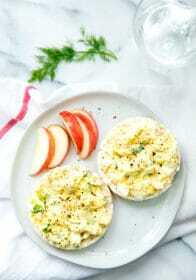 Toss in the grated apple. Pour the wet ingredients into the dry and mix with a big spoon, just until combined (a few lumps are ok). Do NOT overmix. The batter will be thick. Divide the batter evenly between the 12 muffin cups. Top each muffin evenly with the crumble topping and bake muffins for 4 mins at 425℉ then immediately lower oven temperature to 375℉ and bake for 10-11 mins more, or until a toothpick inserted in the center comes out clean. Remove and allow to cool for a few minutes before removing the muffins from the tin. Use a butter knife around the edges, as needed, to coax the muffins out after about 5-10 minutes. Place on a cooling rack to cool completely. If you have leftover muffins, store them, covered, at room temperature for up to 2 days, or in the refrigerator for up to 4 days. Freeze leftover muffins for up to 3 months. 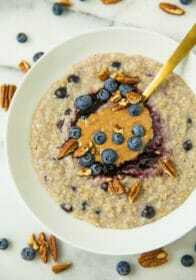 *I used the cinnamon oat variety. If you don't happen to have allspice and/or cloves on-hand, no worries, just leave it out. 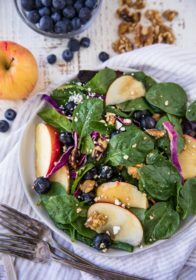 *Don't worry about adding in too much moisture from the grated apple. No need to drain or squeeze out excess water. The crumb on these sounds amazing. I am so ready for all the autumn apple recipes. All these flavors have got me feeling fall is here! 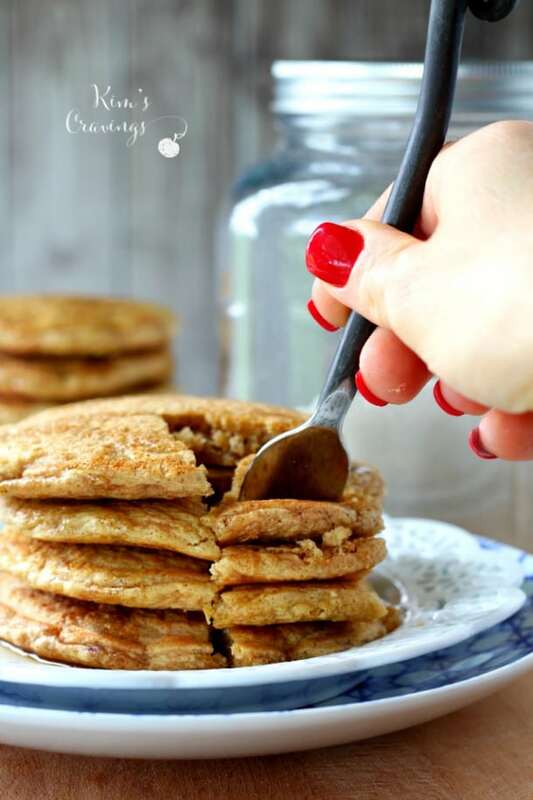 Love how easy these are to make and that crumb…Mmmmm! ♥ They look so scrumptious! Yumm!! 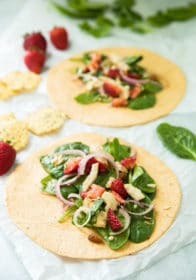 I would love to make a batch of these and enjoy them through the week! I just love that it’s finally apple season again. These muffins look heavenly! 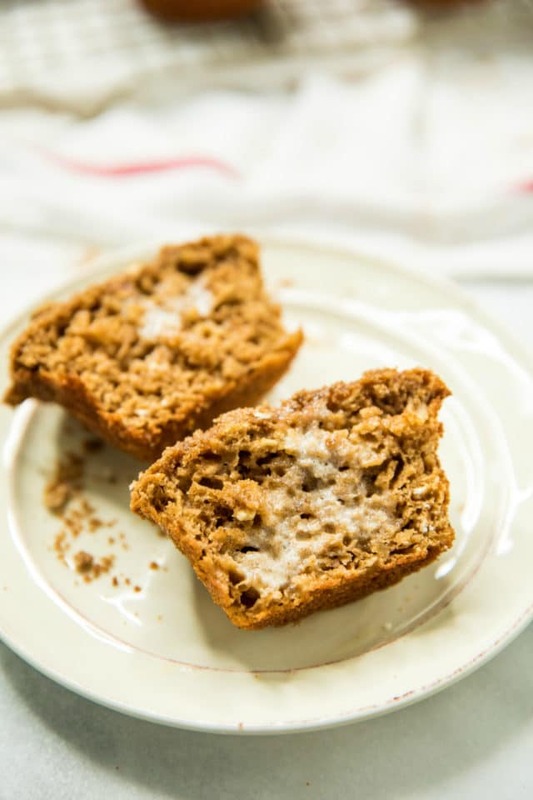 Wow, these apple spice muffins look like the perfect Fall sweet treats!